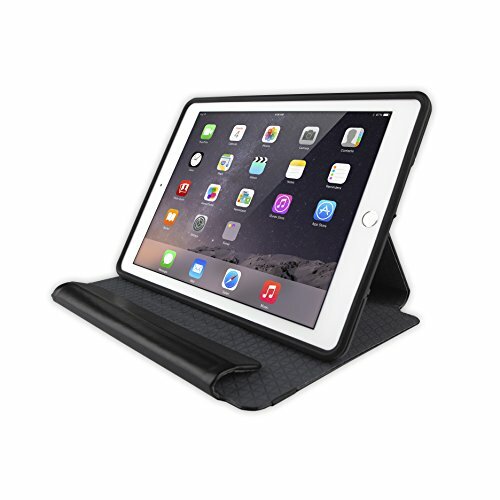 iPad Air 2 Symmetry Folio: Symmetry Series Folio for iPad Air 2 is all about your style, your personality, your life. Featuring a sleek, folding folio cover wrapping a protective shell, the Symmetry Series tablet case delivers the style you want and the protection you need. Folio + stand - sleek folio folds into a multi-position stand, with 360 Degree rotation (rotate to landscape and portrait positions). Slim design - slips easily in and out of purses and bags, with Auto wake/sleep when folio opens and closes. Easy installation - one-piece design slips on and off in a flash.